Home » Uncategorized » Height Increase-Do you realize how close we are? Height Increase-Do you realize how close we are? PLEASE NOTE: The validity of this article has been questioned. We were unable to verify its claims, so we have removed it form our website. I want to learn if ‘it is possible to gain height by mesensimal stem cell therapy after puberty’. Can you give me an adress for this therapy? Thanks. Our research indicates that it is not possible. 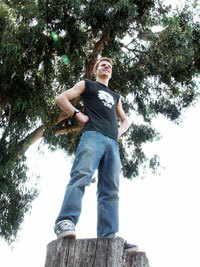 There are no studies available that indicate you can gain height with this method. The hyaline cartilage does disappear after endochondral ossification but as a separate process then chondrocytes differentiating into bone cells. However, stem cells don’t need hyaline cartilage to differentiate into chondrocytes. Also, Lithium Supplementation is not legal without a prescription. However, having the Lithium ion in your body is legal. If you have information about why mesenchymal stem cells can’t cause height growth I would like to hear them. There are no studies on height increase with mesenchymal stem cell because it is not worth considering. You can’t increase height with mesenchymal stem cell after puberty or prepuberty. Even though there’s a little interrelationship between mesenchymal stem cell and epiphyseal plates, that doesn’t mean you can increase height with mesenchymal stem cell.